UPDATED: Alice is back in Odeonland after all | What Hi-Fi? The Odeon cinema chain will be showing Tim Burton's Alice In Wonderland after all, following negotiations with Disney. In a statement, the company said that "The Odeon and UCI Cinema Group is pleased to announce that, following detailed negotiations with the Walt Disney Company Ltd, an enduring agreement has been reached encompassing all the different aspects of both companies' commercial relationship. "As a result of this agreement, Odeon is pleased to confirm that it will be able to continue with its plans for significant investment in new cinemas, in digital technology in 3D capability and the other exciting developments designed for the increased enjoyment of all its customers." Britain's third-largest cinema chain, Vue, has said it will screen Tim Burton's Alice in Wonderland, after reaching an agreement with Disney. This puts the pressure on rival chain Odeon, which said two days ago that it would boycott the 3D film over plans to shorten the window between theatrical release and the movie's arrival on DVD/Blu-ray. Vue's CEO, Tim Richards, said in a statement today: "We are delighted we have reached an agreement with our partners at Disney. This is a win-win for everyone in the entertainment business, and in particular for our customers by offering greater film choice." The decision means the film will be shown in Vue's 69 cinemas across the UK. Cineworld has also confirmed it will show the film in its 77 cinemas, as we previously reported below. Alice in Wonderland will not be shown at Odeon cinemas in the UK, Ireland and Italy, the chain has told the BBC. The move is in response to the Disney studio's plan to reduce the period in which it can only be shown in cinemas. Disney says the plan, which would allow it to release the film on Blu-ray and DVD at the end of May (before the World Cup), was an isolated one-off. But Odeon claims it would "set a new benchmark, leading to a 12-week window [between the cinema and DVD/Blu-ray release] rapidly becoming standard". The Vue chain has yet to confirm whether it will show the film, but Cineworld cinemas will show it, as we reported below. Odeon's decision is not expected to affect the film's Royal premiere on Thursday, due to take place at the Odeon Leicester Square in London. 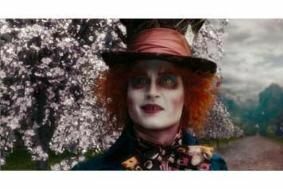 Cineworld has broken ranks with UK and European cinemas to announce it will screen Tim Burton's 3D version of Alice in Wonderland. The Disney film had caused cinemas Europe-wide to threaten a boycott due to the company's plans to release the DVD/BD of the film far earlier than normal. Usually cinemas get at least 17 weeks with a film before it is released on disc. After originally wanting 12 weeks, Disney will now wait just 13 weeks until releasing the disc. This change of plan seems to have been enough to ensure Cineworld will screen Alice in Wonderland, leaving other cinemas up in arms at a potentially worrying change of plan for cinema. "As leaders in 3D, we did not want the public to miss out on such a visual spectacle. As the success of Avatar has shown, there is currently a huge appetite for the 3D experience," says Cineworld's chief executive Steve Wiener. But while punters may be happy to see films coming out on DVD and Blu-ray – and presumably 3D – sooner than ever, cinemas could be hit by the move. The change is even more frustrating in the case of 3D films as many cinemas have recently spent large sums of money upgrading their equipment. Disney claims the shorter lead times for disc releases are an attempt to hit piracy, while arguing that most people already see cinema releases in the first two months of release. Alice in Wonderland is set for release on 5th March. What do you think? Should disc release times be brought forward allowing us to watch the latest blockbusters at home sooner than ever? Or should cinemas be protected and given as much time with a movie as possible? Let us know in the comments below.